Directors – (Parts 1 & 3) Craig R. Baxley & (Part 2) Michael B. Watkins, Teleplay – Laura Harkcom & Christopher Leone, Story (Part 1) – Christopher Leone & Paul Workman, Producer – Paul Kurta, Photography – David Connell, Music – Robert J. Kral, Digital Visual Effects – Stargate Digital New Mexico (Supervisor – Eric Grenaudier), Special Effects Supervisor – Eddie Surkin, Production Design – Keith Neely. Production Company – Lionsgate Television/Motel Man Productions, Inc.
Pittsburgh police detective Joe Miller investigates a murder scene at an antique store where bodies have been fused inside a wall and roof. The course of the investigation leads to Ignacio, a Latino youth Joe knows. However, Ignacio mysteriously vanishes after Joe catches him then appears in Joe’s house, dying of a wound, not before he hands Joe a motel room key. Joe then finds that whichever door he places the key into will always open into a mysterious motel room and further that the door will open to whatever location he is thinking about when he exits. Joe then immediately finds various people pursuing him, all wanting to obtain the key. He learns that the key is one of a host of everyday objects that came from the motel room and that all of the objects have mysterious powers – pens that can kill, combs that can freeze time, bus tickets that teleport people, and others. The Objects appeared in 1961 after a mysterious Event in Gallup, New Mexico, and have been hunted by collectors and secretive organizations the world over – most desiring them for their power, some believing that when the Objects are reunited they will lead to the mind of God, others that they are dangerous and must be destroyed. Joe’s daughter Anna is then abducted by one collector wanting the room key and in the fight that ensues Anna enters the room and the door is closed. However, every time the door to the room is closed its contents reset, meaning that when Joe reopens it Anna has vanished. Joe sets out on a quest to find a means of getting Anna back. Various collectors believe that he needs to obtain Prime Objects of enormous power that will allow him to do so once arranged in the correct order. The quest takes Joe in search of the secrets of the room, the location of the motel and the identity of the mysterious Occupant who was present when the Event occurred. The problem is compounded by Martin Ruber, a crime scene colleague of Joe’s who has become fascinated with the Objects and in the course of trying to obtain the key kills Joe’s partner, leaving Joe blamed for the murder and hunted by the police. 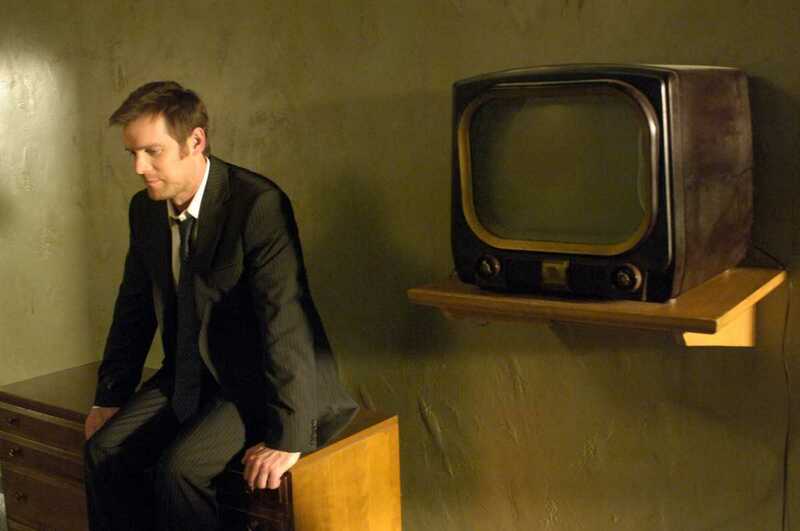 The Lost Room was a tv mini-series that aired on US’s The Sci-Fi Channel. The show originally aired in three two-hour segments, although has also been seen (as here) in six one-hour instalments. I would have to say unequivocally that The Lost Room is one of the freshest and most original genre works that I have seen produced for television. The idea of mundane everyday objects that have been imbued with supernatural powers is an entirely fascinating one – the great appeal of the series is watching each new object and its abilities being introduced. The mini-series also sketches out a complex backstory and mythology, of which it litters intriguing clues throughout, as well as a firmly detailed series of rules about the way the objects behave. If one is to reach for analogies you could maybe point to the great Russian science-fiction film Stalker (1979), which concerned a journey into a mysterious Zone that looked liked an ordinary industrial wasteland but where an alien visit had imbued ordinary objects with mysterious abilities and created a room at the centre that was rumoured to grant miracles to travellers if they could make their way across the alien terrain. One was also reminded somewhat of tv’s Heroes (2006-10), which premiered two months earlier than The Lost Room, and had a sprawling plot that crisscrossed the continental US and kept unveiling people with diverse superpowers. Replace the Objects with people and it would not be too hard to imagine The Lost Room as a Heroes storyline, albeit far better written. I loved The Lost Room not merely for its originality of concept but also for the sheer fun it has in playing with and constantly rearranging its ideas. The scenes where Peter Krause and Roger Bart break into Kevin Pollak’s supposedly impregnable apartment stronghold where all the locks have been removed using the door in a toy child’s house, only for Krause to reveal that he has brought his own lock and powerdrill to attach so that they can escape using the key is positively ingenious. There is much fun to be had in the episode dealing with the comb, none the more so than a chase sequence where Peter Krause stills time and realises there is a bullet only centimetres away from his head. There is a constant level of unveiling conceptual intrigue built into the series as the various secrets of The Objects are unveiled. This is never at its most fascinating than at the end of the second two-hour instalment when a set of mundane photographs reveal the Room the way it was in the beginning and then in the series most creepy moment Peter Krause sees someone staring back out of the photo and realises that the Room originally held a human Occupant. One of the criticisms that The Lost Room attracted was that it does not provide many answers. This seems a failing of audiences and the mistaken assumption that every work about cosmic mysteries should have an explanation. There are an ample number of works like 2001: A Space Odyssey (1968), The Picnic at Hanging Rock (1975) and indeed Stalker that achieve considerable effect by withholding explanations or keeping them deliberately vague and cryptic. What one suspects has happened is that The Lost Room was originally created as a tv series rather than a mini-series, a la the vogue of shows with constantly unveiling twists and surprises like Lost (2004-10), Prison Break (2005-9) and Heroes that were big on current tv schedules at the time The Lost Room was made, and then for reasons unknown the network powers-that-be gave the order that the story be concluded within a predetermined length. The final episode wraps up a number of plot strands – Kevin Pollak’s villainy, Peter Krause rescuing his daughter, the identity of The Occupant – rather hurriedly. Other strands like Dennis Christopher suddenly being regarded as the prophet of a cult by Harriet Sansom Harris, or April Grace’s journey to Gallup (which never appears to have any purpose in the plot), not to mention the end with Peter Krause departing but still regarded as a wanted fugitive by law enforcement agencies feel unresolved. Certainly, the ending is left amply open for potential further tales and would make the great basis for a tv series some day. As it stands on its own, The Lost Room is a gem of televised fantasy. 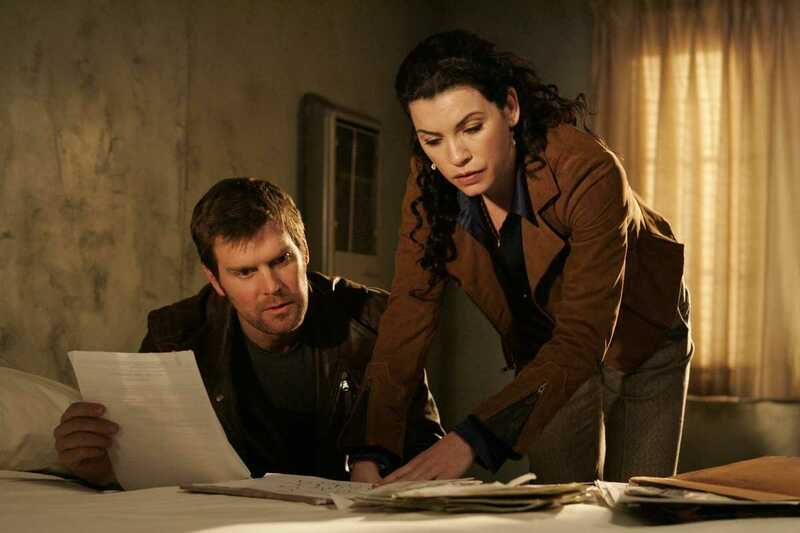 The lead of the show is Peter Krause, best known for tv’s late, great Six Feet Under (2001-5). Krause shows himself as a more than competent heroic leading man. Paired against him is Julianna Margulies, an actress who always seems capable but manages to coast through the roles she is in without ever making much distinction. Kevin Pollak makes for a fine alternately sinister and ambiguous villain. There is good comic support from Peter Jacobson as a homeless man with the bus ticket, while Ewen Bremner gives an exceedingly eccentric and strange, albeit by the end of the episode, also endearingly likeable performance as the man with the comb. Elle Fanning, a few years before finding stardom as a teen actress, also turns up as Peter Krause’s missing daughter. (Winner in this site’s Top 10 Films of 2006 list. Winner for Best Original Screenplay at this site’s Best of 2006 Awards).